Ayreon will release their albums Final Experiment and Actual Fantasy: Revisited on vinyl for the first time on August 26. 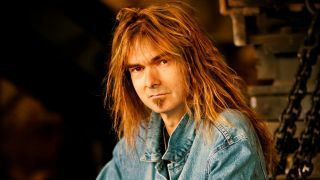 The launch of the 1995 debut album and the 1996 sequel follows the re-release of their entire catalogue after leader Arjen Lucassen hooked up with Mascot Label Group in April. Last month the Dutch multi-instrumentalist also released the DVD The Theater Equation in which he took his 2004 album The Human Equation to the stage. Lucassen says: “I couldn’t have wished for a better start with Mascot Label Group and Music Theories Recordings. The people at Mascot flooded me with ideas and plans for the re-releases, which is a luxury, really. “Take the artwork, for example. They offered to rework it, but wanted to show the original artwork as well. Their ideas were all really good. The Final Experiment comes in a 3LP hard-cover box, while Actual Fantasy: Revisited comes in a 4LP hard-cover box. Both can be pre-ordered via the label’s website.